Palouse Commercial Real Estate is the Moscow/Pullman area's only commercial real estate company. We provide the following commercial services: Retail, Office, Land, Sales and Leasing; Land development, Entitlement and Due Diligence, Investment Property, Farm and Land, Consulting, and Business Brokerage. Palouse Commercial gains national and international exposure through various commercial real estate affiliations such as the Urban Land Institute, the Inland Northwest Chapter of Certified Commercial Investment Members, and through access to exclusive commercial sales websites such as LoopNet, & Vertical Email. Broker/Owner Shelley L. Bennett has been a real estate agent in Moscow for over 31 years. As a lifelong resident of Moscow, Shelley sees the importance of balanced residential and commercial development of our cities and counties. Shelley is a co-owner of Eastside Marketplace and is credited with renovating and rejuvenating the mall. Through Shelley?s experiences as a commercial property owner she discovered the lack of commercial representation available in the Moscow/Pullman area, prompting her shift in focus from residential real estate real estate and start Palouse Commercial Real Estate. Since then, she has been helping businesses find homes in the community and actively participating in the economic development of the region. Palouse Commercial Real Estate has worked with numerous big companies such as Wal-Mart, Target, and Siemens, but at the same time, remains committed to assisting local entrepreneurs. Commercial specialization - We are the only company on the Palouse focused exclusively on commercial real estate. Regional perspective - We have offices in both Idaho and Washington to better serve the integrated Palouse area. Experience - Broker Shelley Bennett has been involved in commercial development and real estate for more than 20 years. Connections - We know local business people, and can help our clients get plugged into the business community. 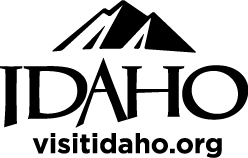 We are located at 213 S. Main in downtown Moscow, across the street from Team Idaho Real Estate and just up the street from Wells Fargo.